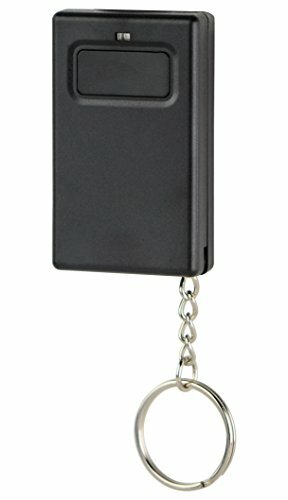 Our economically priced NSCD-300MKi Multi Code mini keychain remote garage door opener from North Shore Commercial Door is compact with a long-range reach of up to 100 feet. THIS IS NOT AN UNIVERSAL REMOTE. IT ONLY WORKS ON LINEAR MULTI CODE FORMAT CONTROLS THAT ARE 300MHZ WITH 10 DIP SWITCHES. Our North Shore Commercial Door NSCD-300MK remote is a 300MHz-compatible transmitter that's a direct replacement for Multi Code 3089 and 3083 model remotes. It will work with any Multi Code receiver operating on a 300 MHz frequency. The 10 dip switches are easy to program; just follow the directions. This durable little keychain remote comes with keychain, strong 3-volt battery and our 3-year warranty. If you have any questions about this product by Northshorecommercialdoor, contact us by completing and submitting the form below. If you are looking for a specif part number, please include it with your message.